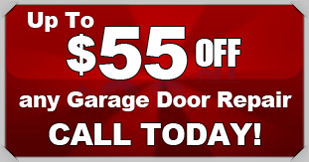 Aledo garage door repair has never been better than at Action Garage Door. Our Aledo garage door service goes above and beyond customer expectations, every time. When you want the best in garage door repair and other services, you have to turn to the best. For years, we have been providing residents all over Aledo with the garage door service they need to have their garages in the best working order. As a garage door repair company that is committed to customer satisfaction, nobody beats Action Garage Door. Our family-owned business has been satisfying customers for 30 years and we are waiting to help you find the services you need for your garage door in Aledo. All of our work is performed according to local regulations and our models can withstand extreme weather. The job was haled quite well. After starting the spring replacement it was determined that additional parts were needed to fix the garage door. Allen was polite and efficient and did an excellent job diagnosing our door issues. He fixed one door quickly and diagnosed that the other door would end up needing an electrician for faulty wiring up in the attic. Allen was very honest and explained what was going on with my garage door. Allen did a great job and was able to get us the service and products we needed! At Action Garage Door, we understand you have many needs when it comes to garage door service. For this reason, our garage door service goes way beyond simple repairs. Not only do we serve commercial steel garage doors as well as residential customers, we also offer great specials on a regular basis. No two home or business owners are alike, and our garage door repair company understands that no two will want the exact same garage doors and set up. 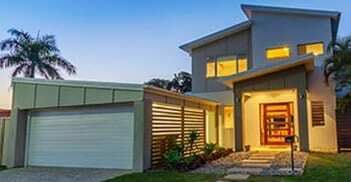 At Action Garage Door, we offer a variety of garage doors for installation in Aledo homes and offices. Some of our options include, steel garage doors, wood garage doors, Carriage House garage doors, Olympus garage doors, Stratford/Heritage, and Amarr Overhead Garage Doors. To get started with your garage door repair, installation, or replacement, contact Action Garage Door in Aledo today and let’s talk about the options available from the garage door repair company that has been caring for customers since 1984.